Ahh, the American melting pot. Its power isn’t to be underestimated. 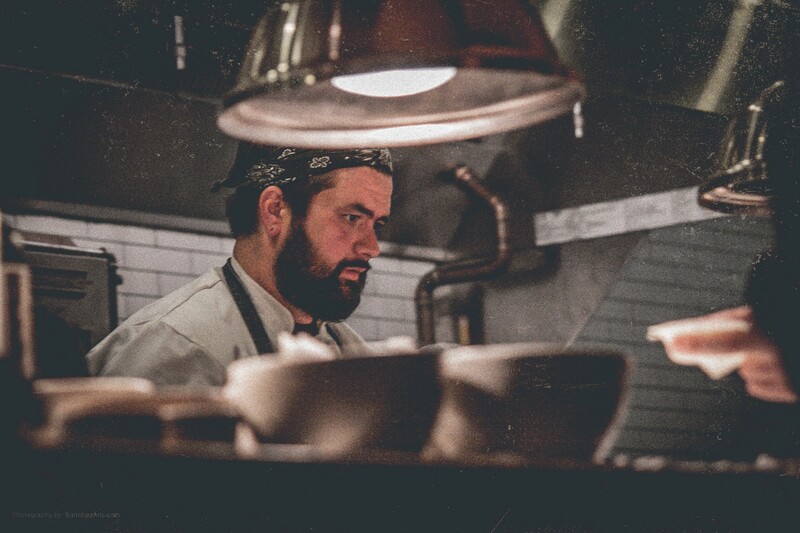 Through decades of migration, mixing and mingling, it has borne innovative fruit like Netflix, Tesla, and Spanx, and people like Josh Hernandez, executive chef of Ava. A native of Sarasota, he never thought he would end up back in the area, least of all making pizzas. But as I sat with him to delve into the Ava brand, his was covered in a light dusting of flour and yeast, all too eager to explain his methods and passions for real pizza. Back in L.A., while line cooking and playing music (he was a music major at FSU), he caught the “bread bug” working under Nancy Silverton, founder of La Brea Bakery. In his free time and after work, he’d toy and tinker with the sourdough starter, learning the delicate nuances of bread making, from temperature to moisture to rise time. 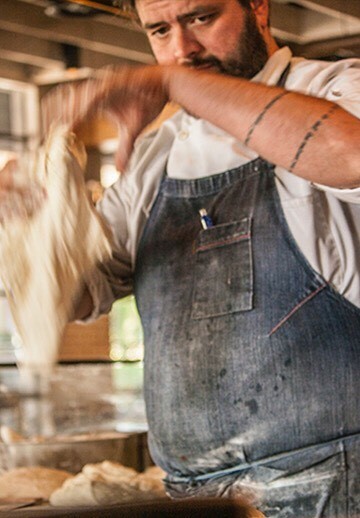 That Jew who taught him (mostly) all he knows about pizza is Ori Menashe, co-owner of Bestia. After a year and a half there, when the opportunity appeared to return to Tampa to help open Ava, this time as executive chef, he lept. And, brought back an unflinching commitment to the craft. Since 2014, the 200-seat restaurant in the heart of SoHo has served thoughtful Italian family fare, like pizza, cheese and charcuterie, pastas and seafood, and specialties like house-made spicy nduja sausage. 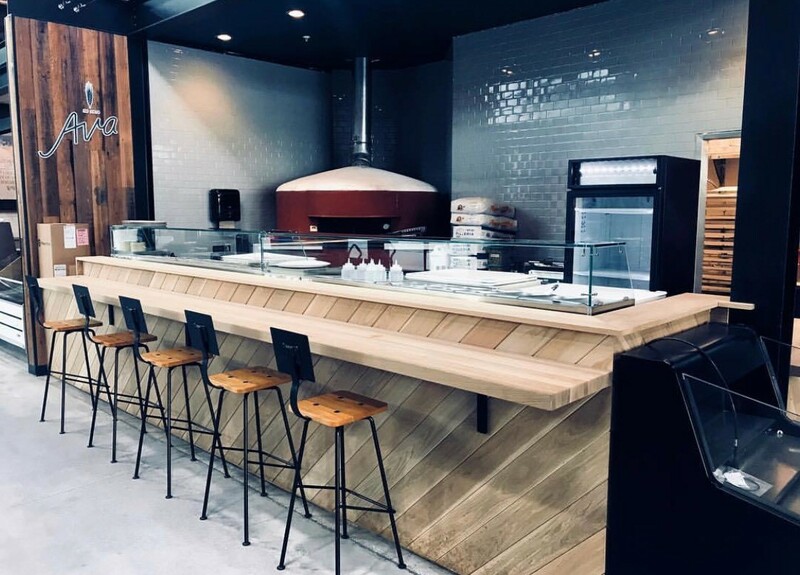 Earlier this year, Josh added Ava’s outpost at Armature Works to his scope, focusing primarily on artisanal Neapolitan pizza. As with many of the other vendors in the market, demand volume has consistently been two to three times greater than first estimations. On the weekend days, Ava often serves 500 pizzas. During the week, maybe 250. That means, no dumbing down of the product for Armature Works, despite a huge space challenge. 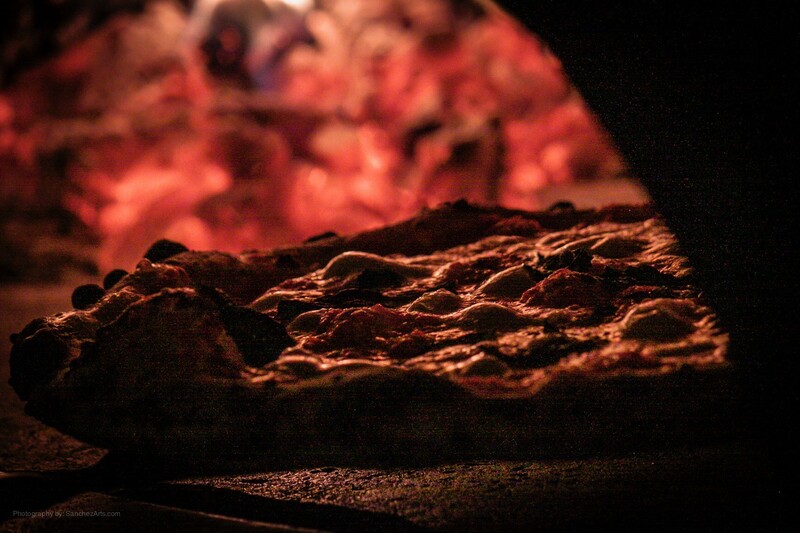 The pizzas are still cooked over wood rather than gas, in an oven from the Acunto family in Naples (Italy, not Florida). Josh still rolls out his dough with that sourdough starter (no instant yeast), and lets it sit for at least three days, sometimes four or five, in a special refrigerator also from Italy. The sauces, cheese, and other toppings are sourced locally. 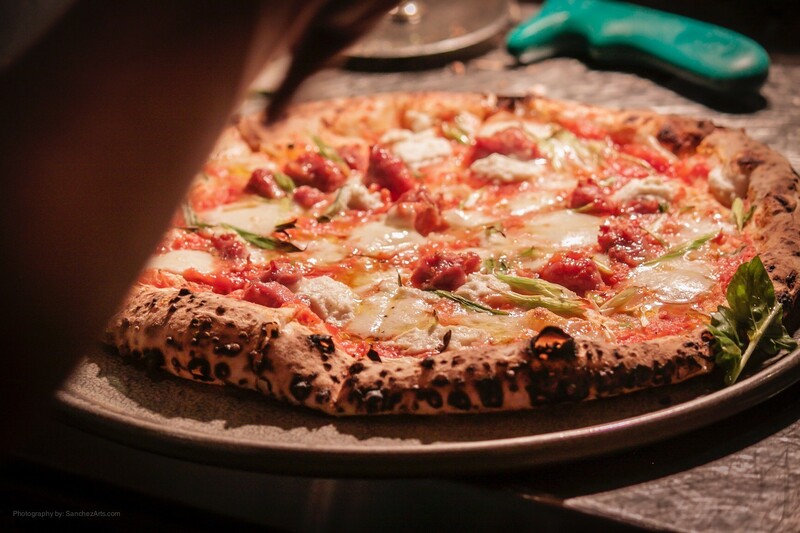 On the La Bestia pizza, Josh uses that homemade spicy nduja sausage, and my personal favorite on a pizza—ricotta cheese. All that fretting over the details isn’t lost on eaters. Because the dough ferments for longer than normal, it is actually more easily digested, even for those with celiac disease. It also has a complexity of taste, as so many things do the longer you let them sit. Josh’s passion and excitement to talk pizza washed over me, even as a conscientious eater averse to carb overloads. Having lived in Italy for a year and half and regularly ignored my usual dietary reservations, I remember how great the pizza was. I had my favorite, from a neighborhood spot, which I’d pick up on the way home from school if the day had been particularly stressful. Like le pizze, just about everything consumable is better in Italy, from a freshness and quality measure. The gelato, espresso, and cheese here just don’t compare. Josh and I also bonded over an appreciation for produce seasonality, which so many people forget is as natural as summer thunderstorms. In recent years, we’ve cultivated an expectation for strawberries in the fall and mandarins in the summer, but that isn’t their natural season for ripeness and harvesting. Anyway, back in Tampa, I ordered La Bestia pizza from Ava at Heights Public Market one night after yoga, and enjoyed all its chewy textures and simple but exquisite flavors. It actually tasted like Italian pizza, not overloaded with toppings, but curated down to a short list of punchy ingredients, made fresh. Not everyone is so on-board with Neapolitan pizza, where the focal point is the dough. In America, we’re used to the dough as the vessel for more toppings. We’ve allowed the dough to become a vaguely tasteless, spongy or flat, often burnt-tasting means to an end. “A guy came to me and complained that he hadn’t received what he ordered (even though he just expected something different-looking from what he ordered). I told him to at least try it, and if he still wanted me to remake it, I’d make him anything he wanted. It’s clear he loves what he does, and has found his flow. The vibe in the Ava stall is one of commitment, among the young prep and line cooks. They’re learning the legit processes to make real pizza, the importance of all the steps, and a sense of purpose when presenting this very unique product to a wider audience. It’s a mixture of vision, education, and making reasonable modifications necessary to stay in business. But please, don’t ask for pepperoni on your pizza! “Peperone” in Italian actually means sweet or bell pepper. If you haven’t been by Ava to indulge in some excellent pizza, you’re missing out.